One of the singular pieces that I was excited to see in real life at Decorex was Boca do Lobo‘s spectacular Heritage cabinet. 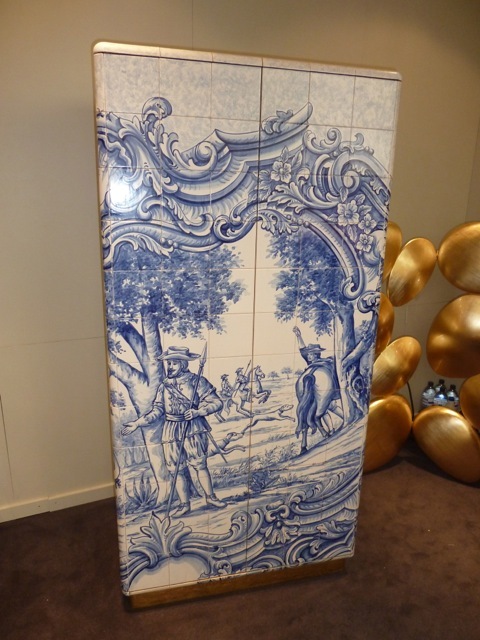 This limited edition piece represents the Portuguese company’s artistic craftsmanship inspired by its country’s heritage. This firm is another perfect example of the merging of past and present, of respecting history and interpreting it through modern design in both style and technique. How exquisite is the inside of this piece! Boco do Lobo has distinguished itself through excellence – their motto is “Passion is Everything” and it shows! 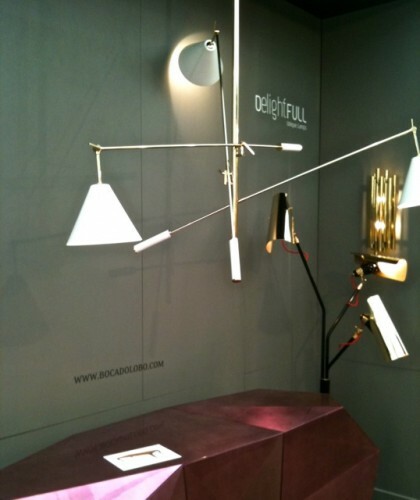 There were quite a few distinctive Portuguese companies exhibiting at Decorex and another of my favorites was Delightfull. These innovative lighting designs also focus on contemporary design with artisanal technique, referencing their cultural tradition of artistry. 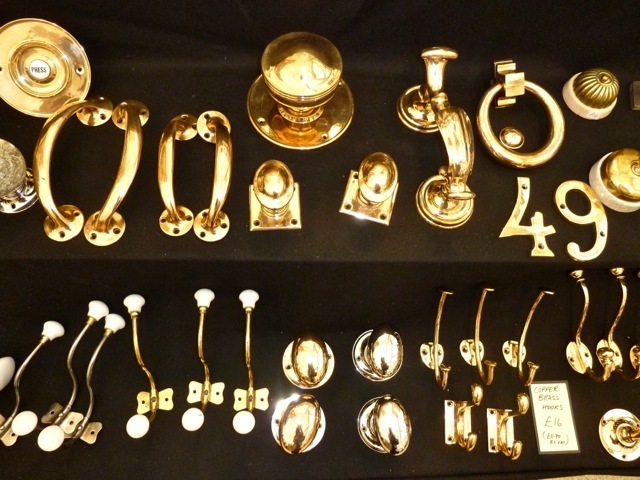 to wood, brass, wrought iron and other materials, there was something for virtually every application! As we’ve seen on the runway, color is back! It couldn’t have been more evident than at the eye popping booth of Little Greene, where it seemed we were all having Carnaby Street flashbacks – with a smile!! 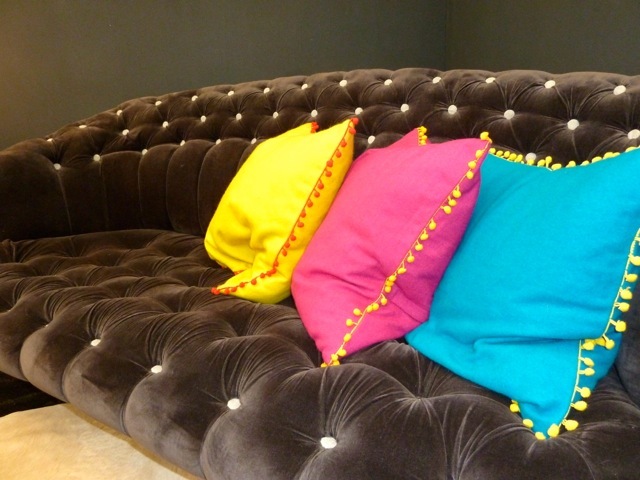 And I loved the brights at Graham and Green where the classic mixed with ethnic pop and fun details!! 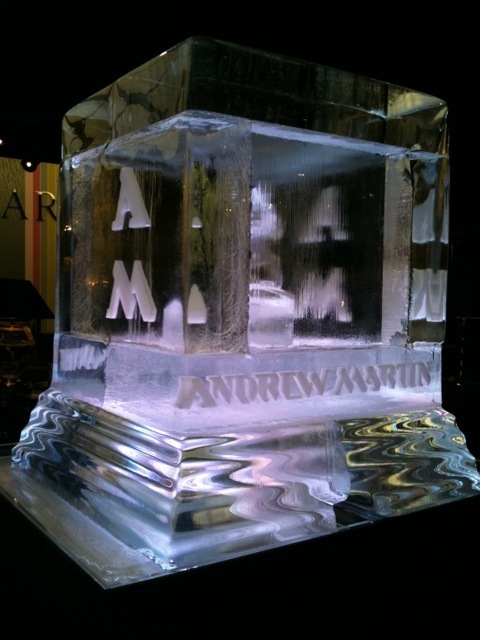 So many of the displays were works of art in and of themselves such as this incredible ice sculpture at the entry of Andrew Martin‘s booth. 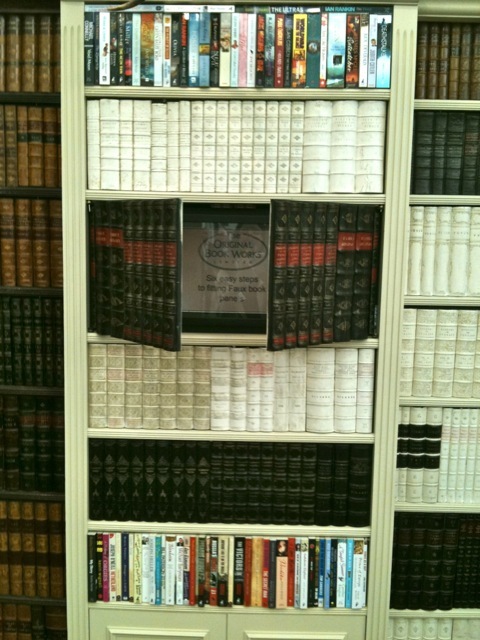 A fun discovery was the faux walls at The Original Book Works. From hiding electronics to concealing secret jib doors (have always wanted one), these books can be executed with traditional book spines, chic vellum or even paperbacks. 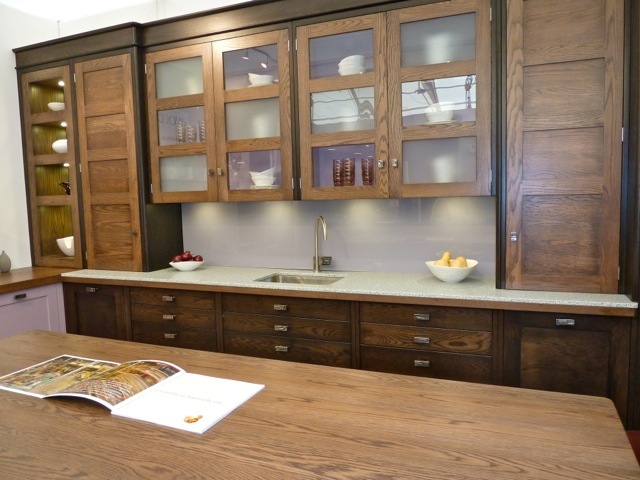 And even though we had already seen many beautiful kitchen designs, I loved this handsome oak kitchen at Woodstock Furniture. There were many thoughtful details produced with beautiful bespoke craftsmanship and sustainable sources. Julian Chichester is a brand I have long followed and was so glad to be able to finally see in person. 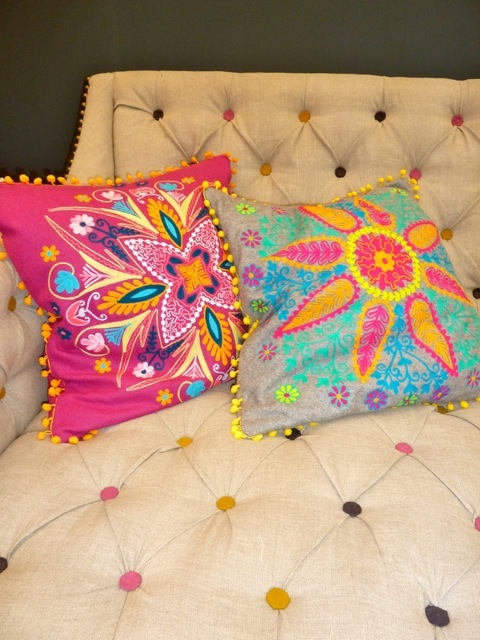 Their fresh designs hover between elegant, eclectic and bohemian chic with a unique aesthetic all their own. 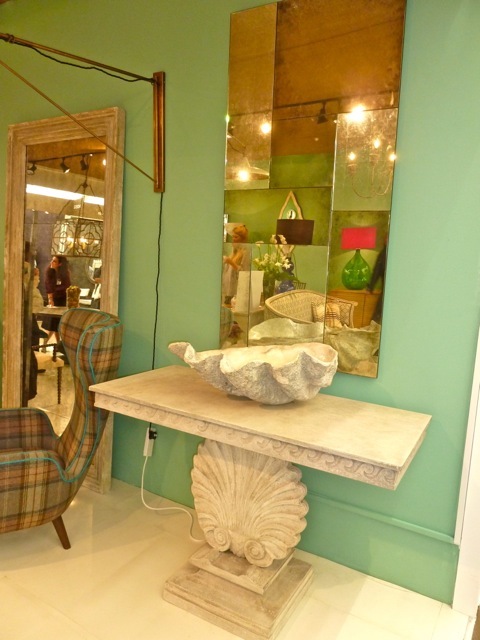 I think one of the reasons for their immense popularity is that the pieces are so versatile and easy to live with. And lastly – clearly I wasn’t the only one who was stopped in my tracks by the gorgeous designs and quality of the products at Bronzino. 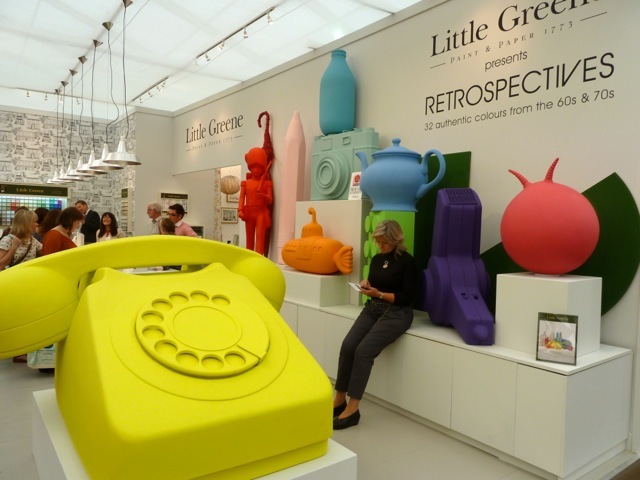 They won the best new exhibitor award at Decorex for good reason. Old and new, luxury and craftsmanship, this line has it all. Handmade by craftsmen from solid copper and zinc, Bronzino’s containers are inspired by history but have a modern sophistication that works inside or out. 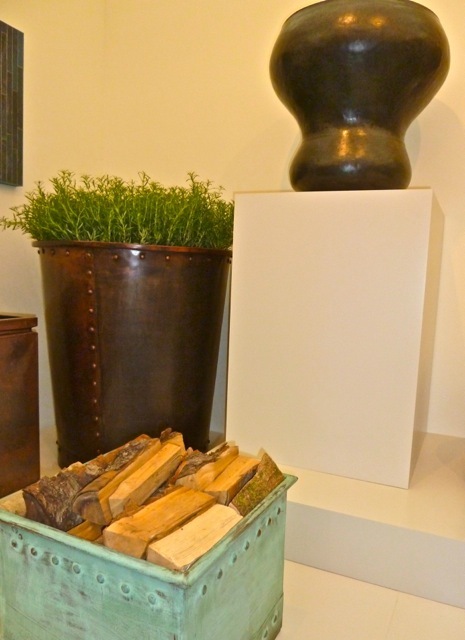 A handsome combination of form and function, they perform double duty as container and art. 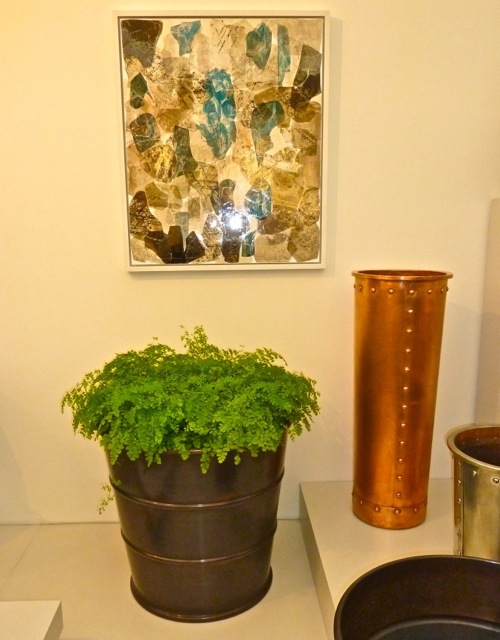 While there is a good selection available within the three collections, Bronzino also works with architects and designers to create custom containers. I hope you all have enjoyed my coverage of BlogTour – I could have gone on endlessly but alas there is other exciting inspiration to cover here at home!! 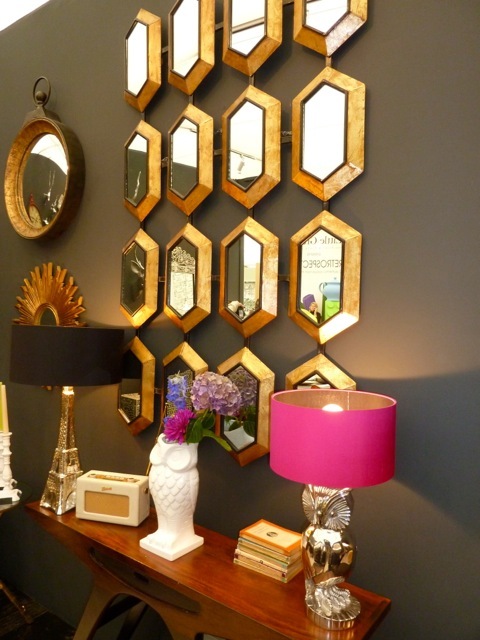 This entry posted in BlogTour, design, furniture, interior design, travel. Entry Tags: BlogTour2011, Graham and Green, Julian Chichester, Little Greene, The Original Book Works, Woodstock Furniture Bookmark the permalink. Fantastic! There has been so, so much to be inspired by. I am sure that the tour’s organizers are thrilled by all of the coverage that you have given this very worthy event. This is a wonderful post. I am inspired–of course, my favorite is the Portuguese Tile Blue and White Cabinet. I loved all of this. Thank you. I am wondering how this show stacks up with the Highpoint Show that is going on right now in NC. I LOVED the color covered buttons on the sofa, fantastic hardware find and yes, I agree the copper products from Bronzino are fantastic. This looked like such a great show. How lucky you are to have gone and found all these new sources and spent some time in Jolly Old London Town too! This show looks like it was fantastic I could have spent hours there looking at all the wonderful items. The hardware, those kitchen cabinets are to die for and I wanted some that sat on the counter but the husband didn’t like the look. I’m off to visit Bronzino because their items are gorgeous and have just the look I’ve been looking for my bathrooom. All so pretty. I am especially in love with the hardware. Bookmarking this. 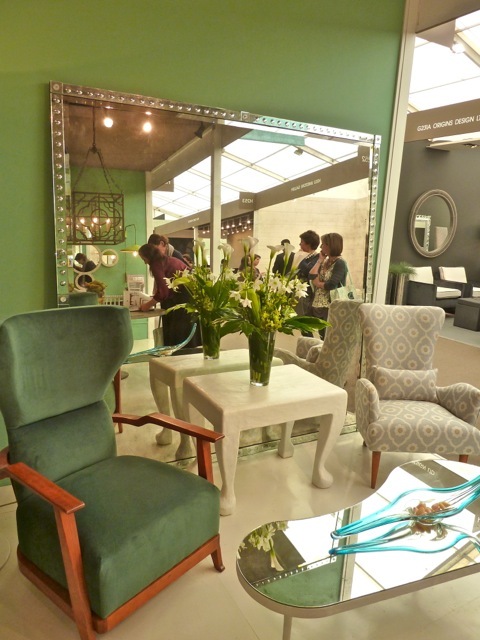 Great reporting from Decorex… I love the verdigris-finish container from Bronzino. Beautiful!! Oh my gosh….how fun! That cabinet is like a work of art. The interior is such a beautiful surprise. I think I’d put a little bar in there so I’d have to open it to give anyone a drink! Love the books hiding the equipment too. I love objects that are carefully created with love and passion. These all fit the bill. Thanks so much for all the inspiration. I’ve loved following you along on such a chic tour of London. That cabinet — wow! I can’t decide what is more stunning, the outside or the interior. And I’m trying to figure out where a secret door might fit in our home. Perfect for hide-and-seek! Loads of goodness here, very famliar with The original book works company, they make a really nice product. Love the hardware (always a soft spot for that) and that heritage cabinet is really something! Matches your blog so well.I know you put in a lot of hours but it looks like it was stiumlation overload..thanks so much for sharing all the gorgeous highlights! 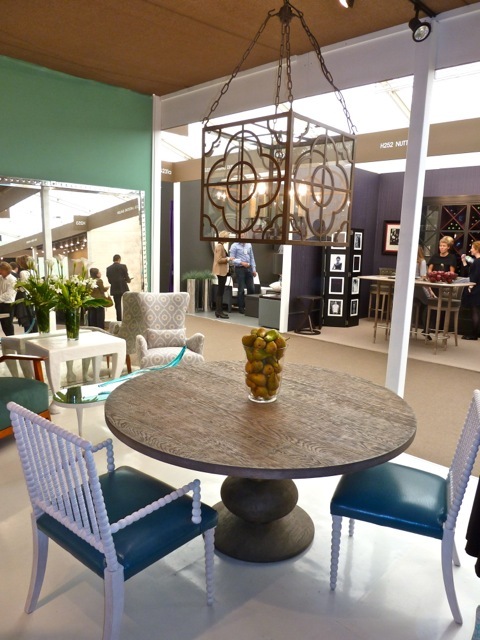 Graham and Greene is new to me and love the pops of color! Loved this visual feast!!! So much inspiration, and of course I love all the popping color! I also love the interior of that first cabinet, so insane! And the hardware…oh I could go on. It such a treat to come along on this kind of tour…good thing it’s virtual, I would have a hard time moving past hardware!!! It is so interesting to see what fabulous things catch your eye. 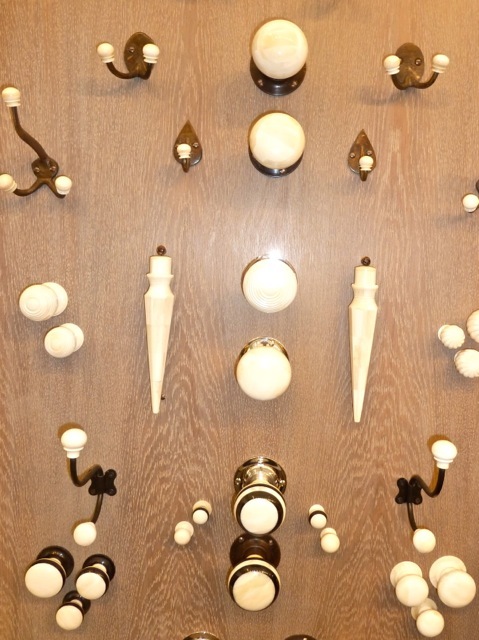 Beautiful hardware always brings such a smile to my face…loved seeing these, makes me want to build more cabinetry just to have a place to put them!! 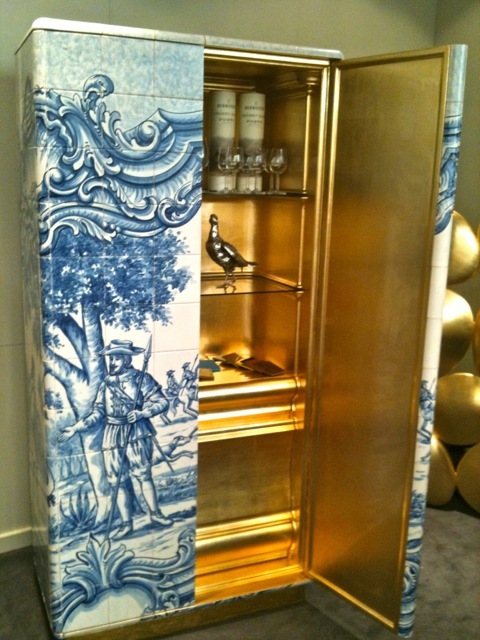 The hardware, The Boca do Lobo *tile* armoire .. Love that so many Portuguese vendors made it to this post! 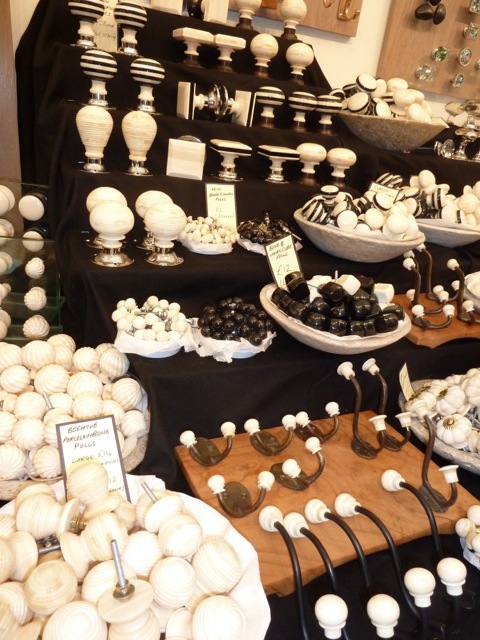 There are such great artisans there, you could almost fill 2 entire halls with them and still not represent them all. 80 queries in 0.700 seconds.